When was the last time you did something that, in hindsight, you thought was foolish, stupid, not consistent with your normal behaviour, and possibly something that made you feel a little embarrassed about afterwards? One of my experiences (a little over 20 years ago, but it only feels like yesterday) that left me feeling this way involved a big night out as part of a weekend flyaway that could have cost me, and my aviator mates, our careers. Our mix of personalities, a not-so-healthy combination of egos, and some environmental factors (alcohol) led to some very poor decision making. The outcome: one of the guys was going to drive a hire car off a long pier into the ocean! The only reason this didn’t happen is the person who signed for the hire car was too worried they would be held accountable, so he wrestled the keys away from a very disgruntled pilot who was about to earn a pooled $500 from the other members of the group. And we had a grand vision of waiting for the media with a beautiful sunrise and national stardom greeting us all. It all sounds stupid in hindsight but it’s the power of personalities, eroded decision-making (via alcohol consumption) and an unnecessary acceptance of risk, which could have resulted in permanently changed careers – or injury. Yet this was a turning point for me to better understand the myriad of human factors that can quickly take us away from being the best we can be. It was also indicative of the power of local culture. What’s accepted as normal practice within an organisation – what we actually do rather than what the policy and rules say we should do. At the time of this event we worked within a culture that often rewarded and acknowledged foolish behaviour. It was almost like a badge of pride as to which group could outdo the previous and set a new benchmark of bravado and future stories to regale. Worst of all, it was led and encouraged by many of the more senior check and training pilots and unit executive! From a personal perspective it took me over seven years to move away from these less than professional traits. But at the time I was just wanting to fit in, which is normal human behaviour. Can you relate to a similar event? The intent is to highlight the mix of human factors (culture, personality, attitudes, group norms and egos) that can heavily and adversely influence our performance in the aviation workplace. And just like alcohol-fuelled incidents where you or your friends have made some bad decisions, one of the most pervasive human factors that degrades performance is human fatigue. And some of the outcomes, such as poor decision-making, fixation, tunnel vision, or acceptance of unnecessary risk, is remarkably similar to the behavioural traits experienced under the influence of too much alcohol. I’m always careful when analysing the decision-making of others when I read aviation accident reports to remind myself of my own episodes of degraded performance. From the outside, to anyone external to myself or my group, we probably looked arrogant, stupid, reckless and foolish. But at the time we were just doing what we believed was acceptable. In the heat of the moment we had very limited capacity to manage and control this mix of human and organisational factors, plus a lack of supervision and leadership to help more junior crews re-align their behaviour. 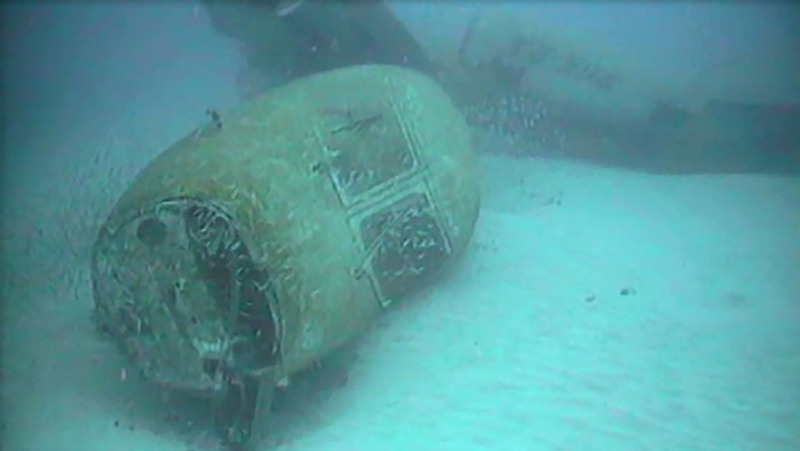 The crew and passengers of Pel-Air Westwind II VH-NGA, which ditched into the waters off Norfolk Island on November 17 2009, including Dom, the aircraft captain and Karen, the flight nurse, they’ve had to relive that event over and over. Why me? We were doing what we normally do so how did we end up with no fuel and a ditching onto the ocean? Why wasn’t the correct weather passed to us? Why, why, why? While the crew have reflected in detail on what could have been done differently, the simple fact remains, they were doing the best they could at the time in accordance with normal company practices. These practices may be different to those you’ve experienced. That is the power of a workplace culture and leadership in shaping normal workplace practices and behaviour; you often don’t know any different until you work for another organisation that performs the same process to a higher standard. For those working for larger aviation organisations with more resources (more people, more support, more money) I’m sure you can look back and reflect on times where, in hindsight, there were gaps in operating practices, but you didn’t know any different. On the night of the accident, Dom was not operating by himself in a vacuum. He was licenced by CASA, trained by structures that CASA created, and he worked for a company using procedures CASA had approved. Yet in the investigation, it appeared CASA found Dom was the sole focus of the problem. His employer, Pel-Air, found him skilled enough to make him a captain and never had cause to discipline him at any time. After the accident, it did not find that he had violated any company procedures. Then there is the Australian Transport Safety Bureau (ATSB) report, which I believe focused too much blame on Dom, with inadequate consideration of Pel-Air’s leadership, workplace culture or the normal practices of many of the Westwind Pel-Air pilots. There are many things – in hindsight – that Dom wishes he could have done differently. He could have been more sceptical of the information he had in front of him as the day unfolded. During his career, he had never arrived at a destination where he couldn’t land, nor had he arrived at a location and found the weather forecast wildly different from the real world. Like you and I sitting in our chairs at zero knots with the benefit of hindsight, he wishes he had the experience to have stood back and seen all the hazards – the error chain – lining up and the ability to draw a line and make a change to the plan. We know from the ATSB report that Dom had a history, like other company pilots, of normally carrying extra fuel in the tip tanks. So why was the extra fuel not loaded on board? What happened to the normally conservative decision-making on the day of the accident? Was it fatigue-induced brain fog? In 2008, when I was the then manager human factors for CASA, we were fortunate to have a specialist accident investigation team from the US National Transportation Safety Board (NTSB) Human Performance Division deliver a fatigue factors training course. This course was attended by several local regulatory and investigatory personnel (over 60 people in total) from the Australian aviation, rail and maritime industries. The course provided detailed insights into the extensive work of the NTSB regarding the investigation and impact of human fatigue across all modes of transport. It also provided a copy of what, for the time, was a best-practice fatigue investigation checklist, including crucial factors and behavioural cues to help gather evidence to determine whether fatigue was a contributory factor. A few days after the Pel-Air ditching I was asked to attend a background brief prior to conducting a special CASA audit, which for the CASA human factors team involved a review of the Pel-Air Fatigue Risk Management System (FRMS). As I was listening to this brief I had an ‘aha’ moment: a clear sense that a few factors were lining up to warrant consideration of fatigue. 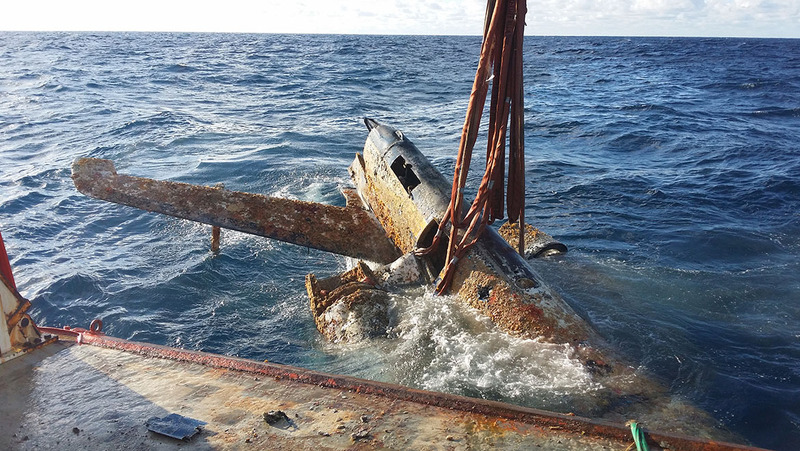 Unfortunately, at the time of the investigation and due to some of the miscommunication between the ATSB and CASA, not all of the fatigue-related information was considered and collected as part of the investigation. To this day fatigue has not been cited as a contributory factor. I still hold a firm belief that fatigue contributed to this accident and my opinion is backed by a recognised fatigue accident investigation subject matter expert. But before we look specifically at Pel-Air, let me explain the basics of fatigue science and provide another aviation accident case study that was methodically investigated. The International Civil Aviation Organization (ICAO) defines fatigue as a “physiological state of reduced mental or physical performance capability resulting from sleep loss, extended wakefulness, circadian phase, and/or workload (mental and/or physical activity) that can impair a person’s alertness and ability to perform safety-related operational duties”. If you’ve been working hard physically while also being required to do lots of critical thinking, or you’ve been exposed to varying work start and finish times (eg rotating shifts from day to night) that have been impacting your normal amount of sleep, or you’ve flown halfway around the world and your normal sleep pattern is no longer aligned with the local conditions, then it’s likely you’re exposed to the risks of fatigue. One of the biggest challenges is the insidious nature of fatigue – it can proceed in a gradual, subtle way, but with very harmful effects. What does this mean for you and I? It’s simple, if we don’t make good decisions during lower levels of fatigue risk (eg earlier in the day), as our continuous hours of wakefulness increase there will be a gradual, often unrecognisable degradation in our ability to perform. This can lead to normally high performing teams making poor decisions and accepting higher levels of risk without an ability to recognise they’re now performing below the standard required to do the job safely. It creeps up on them and gets to a point where they can no longer self-correct. This is why support from independent supervisors – personnel not exposed to the same levels of fatigue – is so critical in managing such outcomes. Disrupted sleep patterns and a build-up of fatigue are part of what many of us need to carefully manage if we are to perform at our best within the aviation environment. and whether performance, behaviours, or appearance are consistent with the effects of excessive fatigue – evidence of impaired decision-making or an inability to adapt behaviour to accommodate new information. Some may perceive me as not adequately independent to discuss Pel-Air fatigue factors, particularly given I was part of the CASA team that completed a special FRMS audit. So, I passed the ATSB Pel-Air accident investigation report to one of my professional colleagues, a subject matter expert on human factors investigation. Using best-practice fatigue investigation checklists, we both came to the same conclusion: fatigue is likely to have contributed to the eroded decision-making of the crew. Obtaining less than five hours’ sleep in the previous 24 hours is inconsistent with a safe system of work. Other research has indicated less than six hours’ sleep in the previous 24 hours can increase risk. In terms of sleep during the previous 24 hours, the aircraft captain had about 3.5-4 hours’ sleep at Apia. Given this sleep occurred during the day, and was interrupted, it is likely to have been of lesser quality than normal. His sleep during previous days was reportedly normal, although his sleep the night before the outbound flight may have been slightly truncated by up to 1.5 hours due to personal factors. Overall, primarily due to restricted sleep in the previous 24 hours, it is likely the captain was experiencing a level of fatigue likely to have a demonstrated effect on performance. However, there was insufficient evidence to conclude he was experiencing a significant level of fatigue. The sleep/wake patterns in the previous 72 hours were disrupted. The sleep quality obtained by the aircraft captain on the day of the accident was poor, including local interruptions (hotel cleaning staff), inadequate facilities (excessive external light entering the hotel room), a period of wakefulness and an increased level of anxiety (a desire to get more sleep before the late afternoon departure). By independent estimates, the total sleep time is more likely to be 3-3.5 hours of average quality sleep. Circadian factors also impacted the quality of sleep as the aircraft captain was trying to obtain sleep during the day, which for many people can be very difficult. Furthermore, one of the critical decisions (refuelling the aircraft) was made around the afternoon window of circadian low (between 1500 and 1700). Did the aircraft captain display behavioural cues that were not aligned with normal behaviour and previous decisions? Yes, including the decision to not add the fuel to the tip tanks and ignoring the point of no return and weather reports because he had fixated on a simple plan to land and was too impaired to recognise growing evidence that the plan was not working. The impact of elevated levels of fatigue is that people do not realise how impaired they are and press on ‘lethargic and indifferent’ with a simple plan. There was also clear evidence to identify systemic (organisational) failings of the Pel-Air FRMS, which ultimately contributed to inadequate external support to independently assist the crew with managing their elevated levels of fatigue. Inadequate CASA oversight of the Pel-Air FRMS including evidence that many problems identified during previous CASA surveillance were never appropriately actioned. Evidence of company FRMS breaches, including a crew member who was allowed to conduct a duty totalling 23 hours and 45 minutes. There were at least six occasions when a duty period was more than 15 hours, and several other duty periods that were 14 to 15 hours. A significant proportion of the longer duty periods included late night hours (between 2200 and 0600). Pel-Air rostering personnel did not have specialist training in fatigue management and did not receive specialist guidance or training regarding the assumptions and limitations associated with the fatigue model. There was a deficient company fatigue reporting culture and reactive FRMS processes. The FRMS training was completed via computer-based training and Westwind pilots reported the training material had limited effectiveness. In this case, the flightcrew’s time off duty was initially expected to be less than eight hours. It was extended to about eight hours only after the crew experienced a delay getting access to rooms at the hotel in Apia. Ultimately, the crew did not have the opportunity for eight hours’ sleep, which was not consistent with good fatigue management practice. 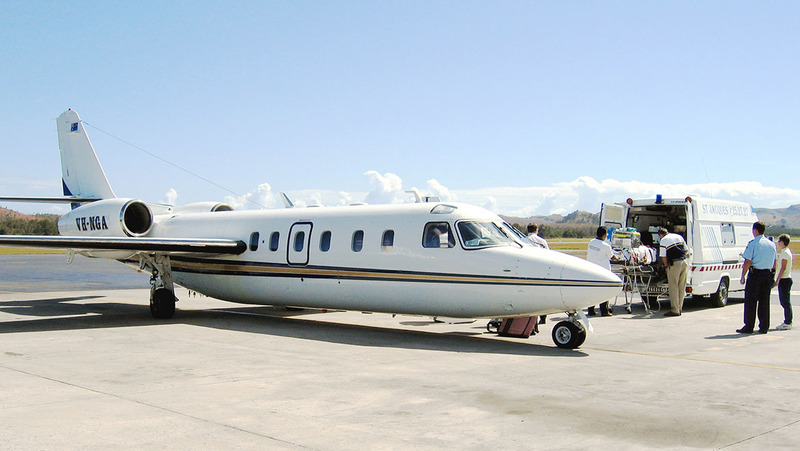 Ultimately, the operator’s Westwind pilots did not conduct a significant amount of duty time overall, and the duty periods associated with many of their trips were not problematic. Nevertheless, the length and timing of the duty periods associated with some of their trips were likely to result in significant levels of fatigue, and this fatigue was not being effectively identified, assessed and managed. Overall, the operator did not have sufficient risk controls in place in addition to a local fatigue modelling tool to manage the duration and timing of duty, rest and standby periods. In summary, the flightcrew should have been provided with a longer time off duty in Apia to enable them to have more sleep opportunity. It is widely agreed they should not be used to make specific decisions regarding a specific individual’s fatigue level, and any attempt to do so should be interpreted with great caution. Unfortunately, the ATSB may have placed an over-reliance on the BMMF results (it modelled the Pel-Air sleep data through three separate models) to the detriment of a more careful analysis of the above fatigue factors. There is a great quote from American journalist and scholar Henry Mencken: “For every complex problem there is an answer that is clear, simple, and wrong”. From my experience conducting fatigue audit and surveillance across many aviation organisations, many are attempting to use simple tools to manage a complex problem. It’s no wonder a common line I hear from aircrew is they don’t know how the fatigue management system works – they feel fatigued, but the boss or chief pilot says they’re good to go. Westwind pilots reported the rostering of their duty periods appeared to be heavily based on a fatigue score. They were never asked about their level of alertness or recent sleep when tasks were assigned, or during the progress of a trip. Some pilots indicated they were provided with insufficient information about the fatigue program and they did not understand how it produced its scores or why its scores seemed to be inconsistent with their perceptions of their own fatigue levels. The problem of over-reliance on a local fatigue model had been identified by both CASA and the operator since 2004. The local fatigue model was still being used as the primary means of determining whether a Westwind flightcrew member could be assigned a new task. In addition to the over-reliance on a local fatigue model and the management of standby, the operator needed to more actively obtain information about pilots’ alertness levels prior to allocating a task, particularly in situations where pilots had been on long periods of standby, flight times coincided with normal sleep times, and/or pilots were conducting trips that involved disrupted sleep patterns. Relying on pilots to proactively report problems with sleep or alertness is only likely to be effective if the operator has a mature and well-functioning reporting culture. Other than the activities conducted in 2001-2002, and the development work involved in upgrading the fatigue management system (FMS) to an FRMS, there was no evidence that a formal system review as described in the manual had been conducted prior to the accident in November 2009. As far as could be determined, the operator never conducted a study or analysis to review the suitability of using a default fatigue score of 75 for its operations. Pel-Air, having experienced significant growth as it entered aeromedical evacuation services, conducting regular short notice operations to remote aerodromes, often late at night, had an ineffective FRMS, poor FRMS training and an over-reliance on a simple fatigue modelling tool that had never been validated. And all of this under the watchful eye of CASA. And now if you combine a poor FRMS with some other evidence available regarding elements of leadership and company culture (as strongly linked to determining accepted workplace behaviour and norms) you start to see why the Pel-Air crew, under the influence of fatigue, was doing the best they could at the time in accordance with the regular practices of other company pilots. There are many examples in the ATSB report of what I consider glimpses of less than ideal leadership – particularly an inability to learn lessons from previous experiences to enhance company standards and performance. This is important to ensure more junior pilots truly develop workplace practices to manage the risks inherent in their operations. The standards manager’s general manager position involved a significant commercial role, creating a potential conflict between commercial and safety perspectives when making decisions. The Westwind standards manager advised the ATSB that, after he was no longer chief pilot, he still in effect managed the Westwind fleet’s activities. However, in April 2009, he had a disagreement with the chief pilot regarding their respective roles. From that time he undertook more of a background role, providing advice to the chief pilot as and when required. In particular, he had less involvement with training and checking activities, and had no involvement in developing or maintaining the operator’s manuals. As far as could be determined, no proficiency checks were conducted on international flights or air ambulance flights. 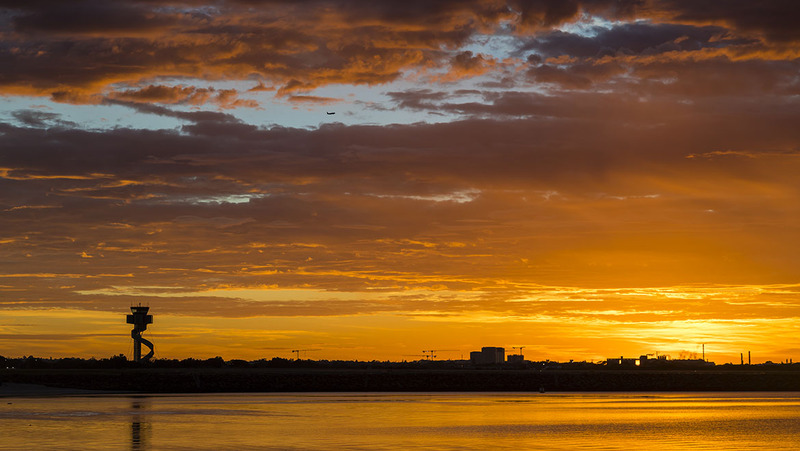 Most captains completed their line training based in Darwin on freight flights. There was no formal training program for captains that covered the unique requirements of air ambulance flights, international flights and/or flights to remote aerodromes. Most pilots had some exposure to such operations during their first officer flying, but the amount varied significantly. There was no requirement in the operations manual for point of no return (PNR) fuel calculations to be cross-checked between the flightcrew. Westwind pilots stated fuel planning and inflight fuel management aspects were covered during command line training. However, this was not an area of focus and the scope of their coverage was limited to the freight flights, where standard flight plans were typically used. Pilots also recalled that concepts such as critical points (CP) and PNR were covered, but they were not discussed in detail or emphasised. During 2009, the chief pilot became aware of various problems with the conduct of some training and checking activities across the fleets. In summary, the lack of clear definitions of roles and responsibilities had a significant potential to influence the extent to which operational and safety standards were being monitored, maintained and managed within the Westwind fleet after the new chief pilot commenced in November 2008. The operator’s processes for identifying hazards extensively relied on hazard and incident reporting, and it did not have adequate proactive and predictive processes in place. In addition, although the operator commenced air ambulance operations in 2002, and the extent of these operations had significantly increased since 2007, the operator had not conducted a formal or structured review of its risk controls for these operations. Overall, had the operator adopted more thorough proactive and predictive hazard identification processes, it is likely at least some of the inadequate risk controls associated with its air ambulance operations would have been identified, particularly in terms of flight/fuel planning and inflight fuel management. CASA’s procedures and guidance for scoping an audit included several important aspects, but it did not formally include the nature of the operator’s activities, the inherent threats or hazards associated with those activities, and the risk controls that were important for managing those threats or hazards. Ultimately, inadequate regulatory oversight also contributed heavily to a false sense of security within Pel‑Air. How devastating it must have been post-accident to have CASA inspectorate staff suddenly find so many systemic issues that had not been picked up during previous CASA surveillance. A key driver of accepted standards and normal practices (what you do when no one is looking) within any workplace is leadership, and it heavily influences workplace culture. Dom and the other crew members were doing the best they could in accordance with what they’d been shown to do. These were the same practices as many other crews flying for Pel-Air. Anytime you make judgements regarding culpability (the balance between a focus on the failings of the system/organisation versus the accountability of an individual member) it is normal to devote close attention to leadership, culture and their influence on workplace practices and behaviour. There is clear evidence of failings with leadership, including inadequate oversight by CASA, and flawed ATSB investigation processes, which have not been adequately considered – leading to a heavy emphasis on the actions of the aircraft captain. Importantly, fatigue is the smoking gun, likely to have adversely influenced the decision-making on the day. The aim of this series is not to discredit the aircraft investigators, who were doing their best with the information available at the time, but rather to consider some other systemic factors that may help us better understand what contributed to the accident. As mentioned in Part 1 of this article last issue, due to concerns regarding the quality of the first release accident investigation report, the Transportation Safety Board of Canada (TSB) completed an independent review of the ATSB. Unfortunately, the TSB found that early misunderstanding of the responsibilities of CASA and the ATSB in the investigation were never resolved. This misunderstanding persisted throughout the investigation, and as a result, ultimately led to a less than ideal ATSB investigation. Resolving such issues is largely the responsibility of more senior managers (such as CASA and ATSB executive and managers) and in themselves are representative of systemic failings of Australian aviation governance at that time. One can only feel the frustration that must have negatively impacted some of the well-trained and highly specialised accident investigators, trying to do the best they could in a less than ideal regulatory and investigatory system. 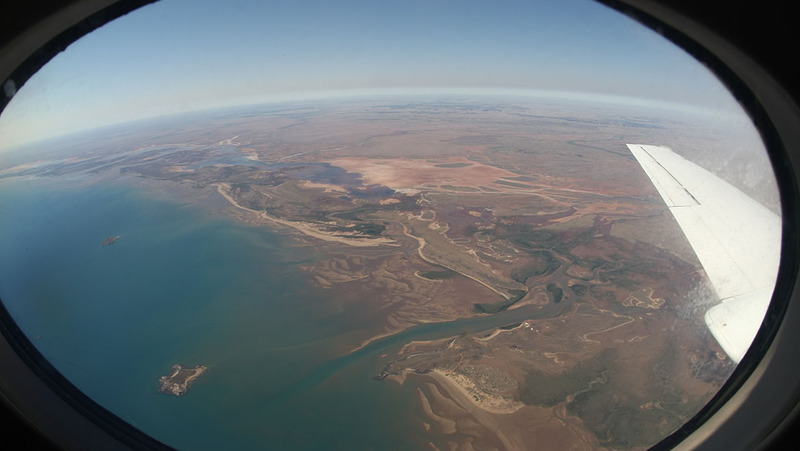 This feature article first appeared in the May 2018 issue of Australian Aviation. Fantastic analysis Ben. I come from the same back ground as yourself but have also left that environment. I am involved in our SMS and agree with your perspective when looking at a incident. I flew GA computer aircraft in the eighties and it was mostly run by cowboy operators who did what they liked with no policing from CASA. If you didn’t do it, you didn’t work. The problem was that we were not killing passengers, so it must be safe…right? It all changed with three fatal accidents. Too late for me though. I got out of the industry in 1983. CASA had a lot to answer for.